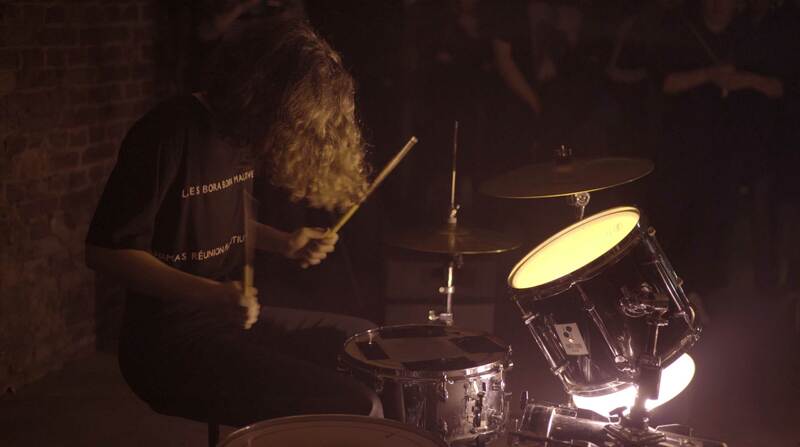 Alan Affichard invited Alice Huet, a Berlin based drummer and member of the band Bechamel, to perform and play drums with him at nun. This project is an experimental extension of From 88 to 108, Affichard’s art work, that is being exhibited at Between Bridges from 26.02 to 31.03.18. 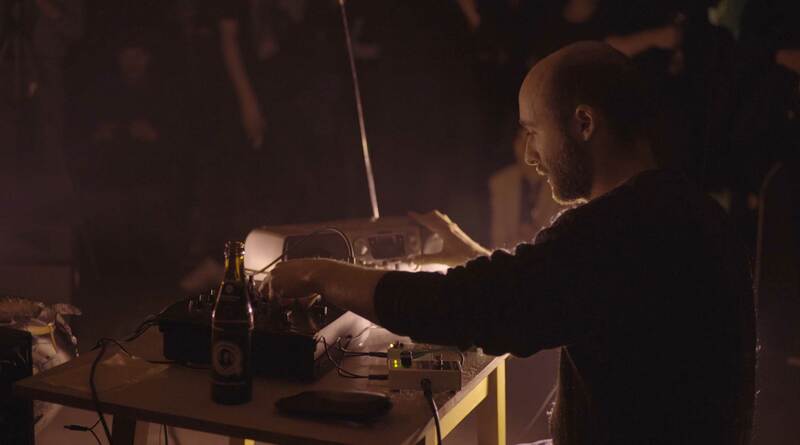 Affichard and Huet played over a live radio composition, and created in the radio-wave spectrum an endless random roaming from one edge to the other. 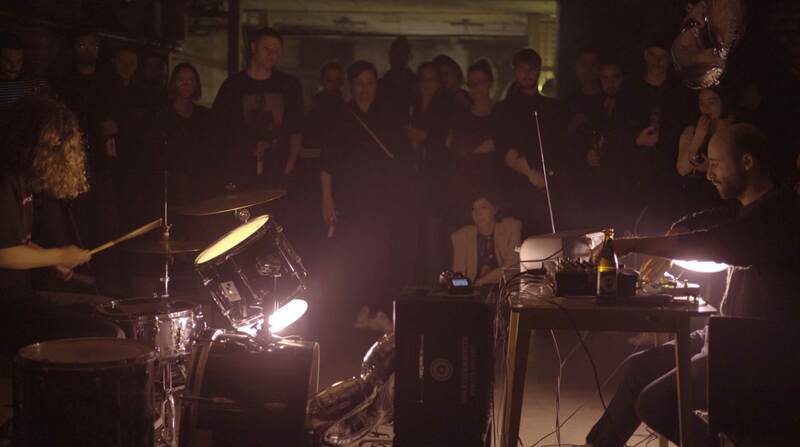 Using Burroughs’ Cut up technique – an aleatory literary technique that consists in cutting up and rearrange text to create a new one – the performance rose up as a unique poetical composition made out of fragments of music, words and noises. 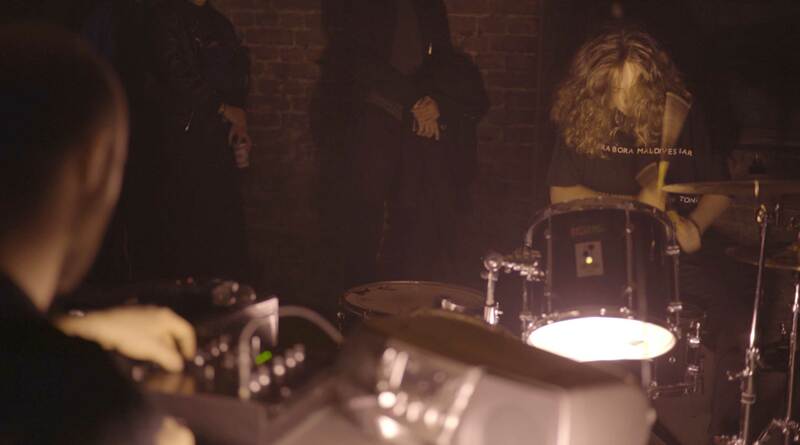 Alice plays drums over “From 88 to 108” induced the spectator a state of here and now replicating an experimental soundproofing of forms, amplifiers, delayed effects, storytelling, rhythms and diagrammatic thoughts that interacted between control and their potencial failure.